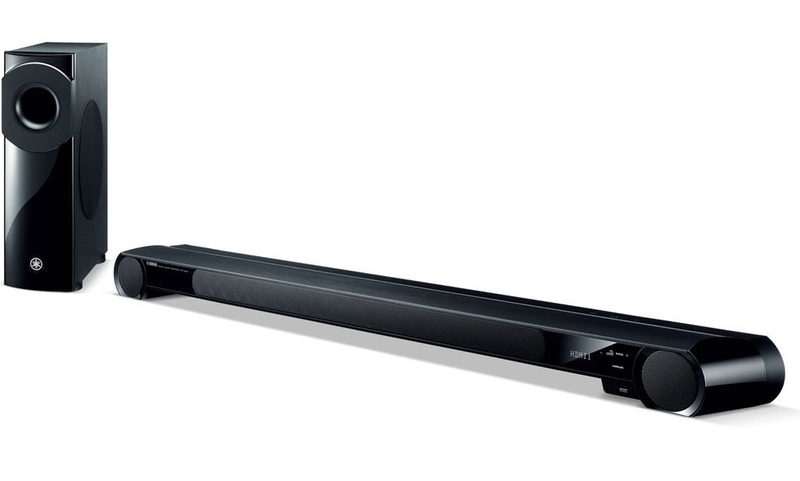 The Yamaha YSP-4300 sound bar offers up an array of 22 speakers all controlled by YSP technology, proprietary from Yamaha to deliver extremely high grade surround sound. 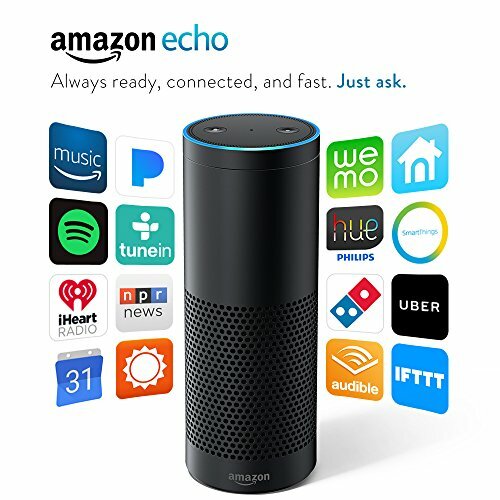 Thanks to its 6.5cm subwoofers, this unit helps actually deliver deep rumbling resonating sounds while the aluminum body dampens unwanted vibrations. 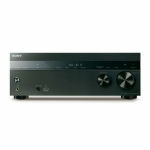 The end result is a truly surround sound experience with awesome imaging. Offers Dolby Digital, Digital Plus, Digital EX, TrueHD, Pro Logic II, DTS-HD Master Audio, DTS, DTS-ES, LPCM, DTS-Neo 6, Pro Logic and other audio formats. HDMI 4K Pass through, 3D Pass through, Auto lip-sync, CEC and ARC. 4 x HDMI input, 1 x HDMI output. This Yamaha bar uses YST technology with a circuit board that always remains grounded for protection against power surges. The Linear Port helps disperse sound while decreasing unnecessary noises. This works well with regards to music and movie sound effects. To ensure the rich sound output is consistent regardless of how large the room size is, the Yamaha YSP-4300 uses IntelliBeam technology that monitors ambient noise levels as well as the sound resonating from the walls through a built-in mic so as to automatically set up beam angles for acoustic perfection. 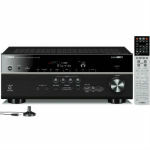 The foremost advantage of the Yamaha YSP-4300 Digital Sound Projector with Wireless Subwoofer is its unique bar design that incorporates subwoofer, dynamic speakers and lots of tiny woofers. 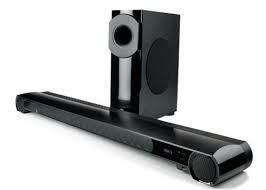 This helps it deliver a truly surround sound experience, which customers were amazed with. Many actually said that this bar speaker sounds crisper and clearer than the old 7.1 assortment of 6 speakers with a single woofer that costs much more. 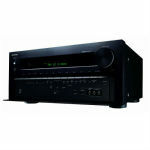 The YSP-4300 also being an immediate improvement over the 3000 series comes with more woofers and a lot more capabilities such as the ability to directly play FM/AM radio, connect via the front USB port to play or just charge your phone/music player. 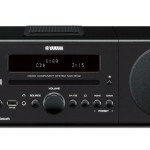 As for the overall construction, it seems sturdy enough and being a Yamaha audio product you know it won’t lose its quality any time soon. Possibly the price is what makes this a luxurious investment for some. However, if you truly are interested in saving space and keeping a modern décor to your home then the Yamaha YSP-4300 is the speaker to go with. 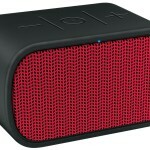 Otherwise, there is absolutely nothing missing out in these speakers. 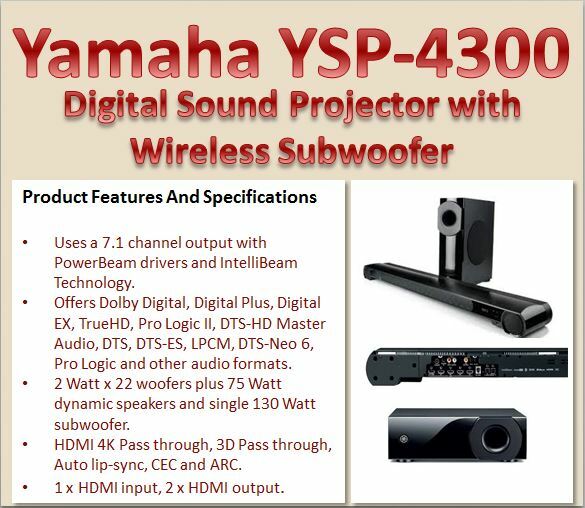 For those who believe in technology and have a large flat screen wall mounting television, the Yamaha YSP-4300 digital sound projector is a perfect companion. 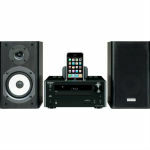 These speakers sound great, look splendid and are dependable. 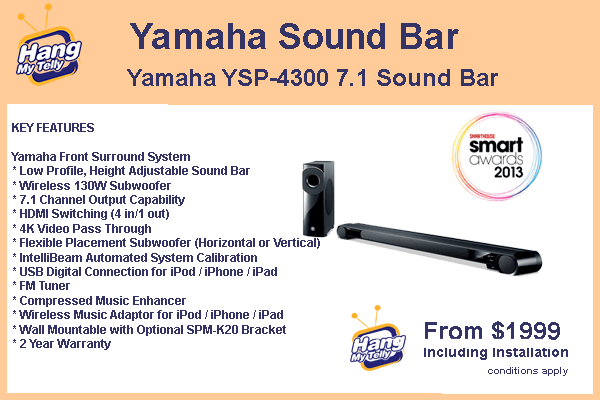 Watch movies with crisp sounding dialogues, sound effects, listen to music without missing out on the highs and lows, never again fret over configuring your speakers – this bar speaker from Yamaha does all the thinking for you.